Russian Bus Simulator 2015 is the best simulation game that will offer you the chance to became a real Bus Driver! Smooth controls, incredible vehicles, amazing interiors, realistic maps of Russian Cities will make you fell like driving a real bus! It's time to get on board and try to be the best Russian Bus Driver in real Russian City! Get Russian Bus Simulator 2015 now!Features:- Realistic Maps of Russian Cities,- Day and Night maps,- Different buses to drive, such as PAZ, LIAZ, MAZ and NEFAZ,- Steering Wheel, Buttons or Tilting controls,- Detailed Interiors,- Realistic bus and other cars physics,- Incredible 3D graphics,- Intelligent Traffic System with cool russian cars such as Lada and Uaz,- Realistic system of traffic lights,- Cool animated people entering/exiting the bus,- Realistic system of filling stationsWant to feel like a Russian Bus Driver? 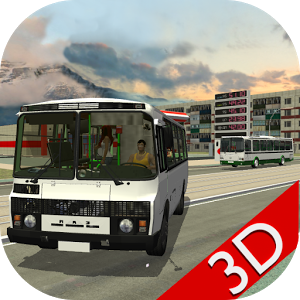 Russian Bus Simulator 2015 is for you!